You are here: Home » The Key to being a Great Mom! The Key to being a Great Mom! Based on the title of this post you are more than likely expecting me to discuss the importance of patience, love, tenderness, not raising your voice, extra hugs and kisses, etc. While all those are very important components they are not the key to being a great mom. The key to being a great mom is to not be one from time-to-time. What! Ludacris! Crazy, right!? Wrong! You want to know what’s crazy, weeping while in the fetal position at 9pm knowing you have to get up and do it all over again in the morning. True story! Spoiler alert! Sometimes being mom isn’t glamorous (I apologize to all the first time moms whose dreams I might have just shattered). In fact at times I feel like a hybrid of a customer service representative and wall fixture. Don’t get me wrong, motherhood has its perks. I have achieved some mad skills like being able to know where everything is located, making booboos all better, and don’t even get me started on all the ways I can multitask…we are talking cleaning a toilet, bathing one child (not in the toilet…just thought clarification was in order), helping another with homework, all while making a grocery list in my head. Let’s see Dad try that!! And speaking of Dad, why is it that there is no such thing as daddy guilt? Talk about an oxymoron, right! But mommy guilt, now that is very much real. And that beast often attacks when you least expect. Like when you have exceeded your complaint quota for the day and you’re in the middle of multitasking your multitasking and BAM! You realized you promised your child you would read a book that you never got around to reading. Mommy guilt tells you that you are clearly a horrible mother who breaks promises to her children. Consuming this motherhood cocktail has consequences; it results with your husband finding you weeping while in the fetal position at 9pm. The good news is there is help. So, how do you cure this ailment? Get out! Have coffee with a friend. Do something, anything without the children. Organize a Moms Night Out. It is so vital that you have time away to rejuvenate and refresh, remember who you are as a person. Your children deserve a mother who isn’t physically and emotionally drained (FYI, this doesn’t mean that they will be 100% on board with you leaving, it might be a little difficult leaving the house so start your goodbyes a ½ hour early and brace yourself for a few tears…from the children too). Motherhood is such an amazing blessing and it is important that we don’t lose sight of that, that we cherish this treasure. 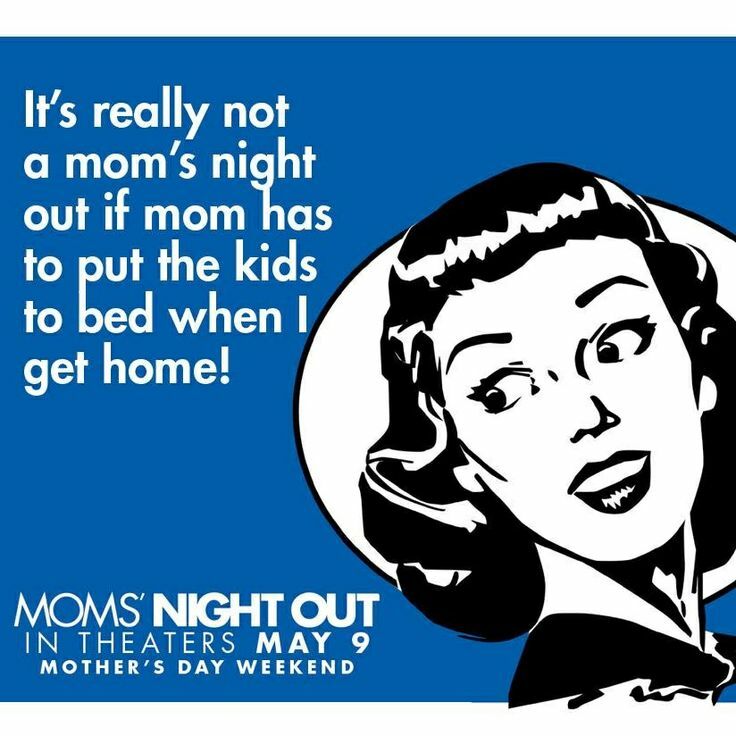 I know I am cherishing motherhood today after having enjoyed a Moms Night Out last night. I came home feeling refreshed, rejuvenated, and today I felt like I was in pure mommy bliss. I took the kiddos to the park, we baked cookies, giggled over the dinner table conversation, and I even extended bedtime so we could hang out a little longer (pre-Moms Night Out I was counting down the minutes till bedtime). 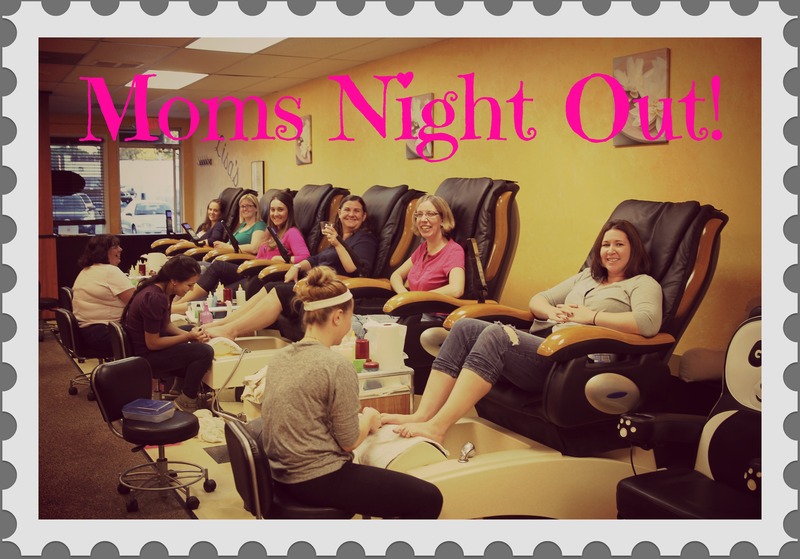 Just as Date Night is vital to your relationship Moms Night Out is vital in order to be a great mom! When was the last time you had a Moms Night Out?